Thank you, thank you, thank you, every single one of you. 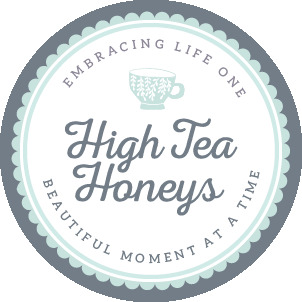 Those who have joined the High Tea Honeys this past year and made it along to an event or two. Thank you even to those who have enjoyed watching from the sideline and are yet to join us. Without committed members, we have no events and without events, we don’t have an opportunity to welcome new people into our lives and I tell you what, I have met some wonderful women this past year. Women I am so proud to call my friends, friends that will be friends for life. About a month ago, we celebrated the High Tea Honeys first birthday at Louis Sergeant Sweet Couture. Louis Sergeant is a delightful French patisserie in the heart of Wellington CBD. The décor is humble yet elegant, shiny black resin chairs, deep mahogany tables, the walls lined with mirrors. Our maître de let us make ourselves comfortable and before a quick thank you speech from me he proceeded to pour glasses of bubbly for everyone at the table, I wish I caught the name of it but regardless, it was chilled, sweet, bubbly and delish. Bubbly was followed by tea menus, all with curiously exotic names such as City of Lights and 4 Saisons. Black tea with hints of vanilla, cinnamon tea with spices galore – amazing. We ordered our tea and carried on chatting away happily, soaking up the ambience. Then the food was brought out to us, three mirrored tiers filled with beautifully presented, bite sized, deliciousness. Savoury options included a beetroot jelly cube, cauliflower purée, salmon with caviar, and a tiny beef profiterole. The next layer up was my personal fave – a mini cherry gateaux, a hazelnut chocolate cup and a mini chantilly cream filled scone. On the very top tier we had a single passionfruit and chocolate French macaron – not flavours I would normally consider together but the tartness of the passionfruit was nicely offset by the sweet chocolate buttercream filling and the bitter cocoa sprinkled on top. In true High Tea Honeys fashion, we stayed until we were politely shuffled out the door as they closed up shop for the evening. Thank you to the ladies who made this event what it was, it was so nice to see so many new faces for the first time at our birthday and I look forward to another year of friendship and fun with you all. High tea on We Heart It.